When traveling to Europe, many opt to venture to the famous capitals of the continent’s West. While Paris, Madrid and London are without a doubt beautiful, they are always both crowded and expensive. Gaining more attention among travelers in recent years are the beautiful metropolitan cities of Central & Eastern Europe. One of the most stunning cities, a new personal favorite and definite must-visit destination is Czech Republic’s capital Prague. Prague is compact in size and many of the visitor attractions are in walking distance. The summer months (June – August) are the busiest as the weather is warm and Europeans tend to take their vacation during this time. While Prague has become incredibly crowded with tourists from around the world flocking to the Central European gem, its special charm will surely enchant you despite the masses. A good way to get to know Prague is to take a Free Walking Tour offered by Sandeman’s New Europe Company. The walking tour will lead you to several points of interest in both the old as well as the new parts of town. A well informed guide will teach you about the city’s history and give tips on what to do and where to go. 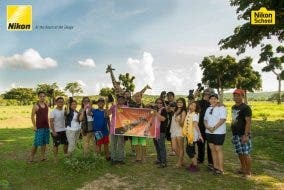 By the end of the tour you tip the guide according to what you deem appropriate compensation. Do remember though that the guide survives based on your donation. This in 1996 completed quirky building, also known as Fred & Ginger (named after two famous dancers, thus the “Dancing” House) was designed by famous American-Canadian architect Frank Gehry and Czech architect Vlado Milúnic. It reminisces buildings from a fantasy world and stands out among the traditional Baroque buildings in the Czech capital. Nowadays it is a popular and interesting, unique visitor attraction in Prague. Located in the Jewish Quarter of Prague, this historical site dates back to the 15th century. Layers of tombs amount to an estimated 100,000 burials. The Old Jewish Cemetery is one of the most famous visitor sites of Prague and tell a big part of the city’s history. The official residence and office of the Czech President happens to be the 9th Century Prague Castle. It is a large beautiful gothic and Romanesque castle complex, which perches on top of a hill behind the Charles Bridge on the Prague 1 district. This ancient castle can easily be reached by walking from the Old Town Square. The complex is composed of several palaces and churches and is one of the main sights of the city. The quaint area around the castle makes a beautiful place for discovering the city’s and country’s rich history. The medieval heart of Prague can be found at the Old Town Square. It is an incredible, fairytale-like place of which much was named a UNESCO World Heritage Site. One of the main attractions of the Old Town Square is the slightly overhyped/overrated Prague Astronomical Clock. It is a medieval clock from 1410 mounted to the Old Town City Hall building. A clockwork show is displayed each hour and usually attracts large groups of spectators. It is a good idea to watch the show once but do expect to leave feeling confused about the hype of the clock afterwards. During nighttime, varying musicians command the area and groups of spectators listen to and surround the unknown talents. 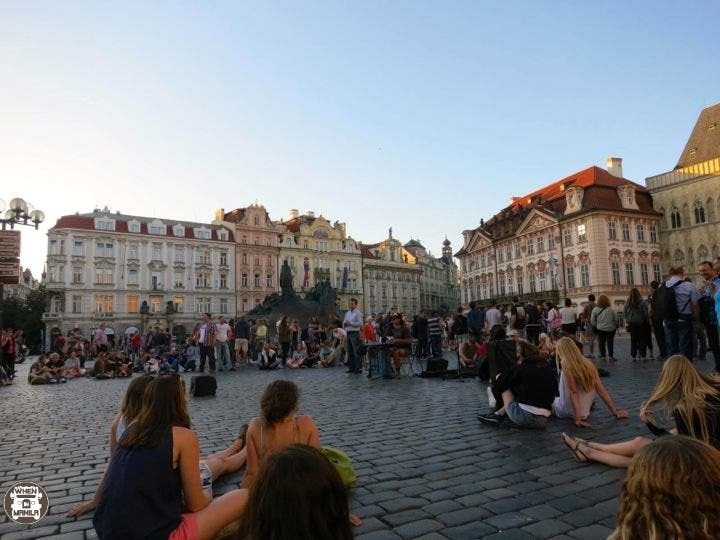 Tip: buy some wine and snacks in the nearby shops, sit on the floor of the Old Town Square and enjoy a free concert. The evening atmosphere of this historical site is nostalgic and romantic, a special vibe to experience. The Old Town Square is so endearing, if you can, find a hotel in the area to stay at. One of the most popular Pedestrian-only bridges in the world, the Charles Bridge in Prague is an impressive, enchanting, gothic-style stone monument connecting the Old Town with the Prague Castle over the river Vlatava. In 1402 this architectural masterpiece was completed in after nearly 50 years of construction. The bridge is adorned by 30 Baroque-style statues and is stage to countless artists who offer to draw visitors or sell their work. Nearly always filled with tourists and passersby, the Bridge is relatively empty in the early morning hours. While it is nearly impossible to miss the Charles Bridge on a visit to Prague, make sure to spend some time to enjoy the surrounding views and the special atmosphere of this historical treasure. 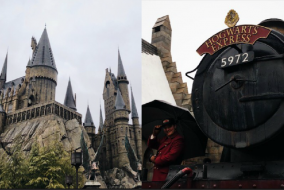 Guys, The Harry Potter Attraction in Osaka is so Beautiful IRL – LOOK!